MOST folks have never thought of Quezon City as a tourism destination. I don’t blame them. It is mostly known as a shopping and dining capital, not to mention the location of most government agencies and educational institutions. Then, not too long ago, I read a newspaper piece quoting a Quezon City government official announcing that the city was targeting to become the “main tourist destination” in Metro Manila. So, of course, I couldn’t help but take a closer look at the resources Quezon City has that would entice tourists to come and visit it. And true enough, when viewed from a sightseer’s perspective, Quezon City does have a lot of interesting places and fun-filled activities that would surely delight any out-of-towner. Quezon City has history, art, health and wellness spaces, as well as areas to commune with nature—or with other people if you wish, in hip, modern gathering places. Historical landmarks. Melchora Aquino, or Tandang Sora, is known as the “Grand Old Lady of the Revolution.” Her remains are interred at the Tandang Sora National Shrine on Banlat Road (near Tandang Sora and Mindanao avenues) believed to be her actual birthplace. At the shrine is a towering brass statue of Aquino caring for a sick Katipunero with two other compatriots, sculpted by artist Abdulmari de Leon Imao Jr. The shrine, open to the public only on weekdays, also features six brass murals depicting the revolutionary’s life. 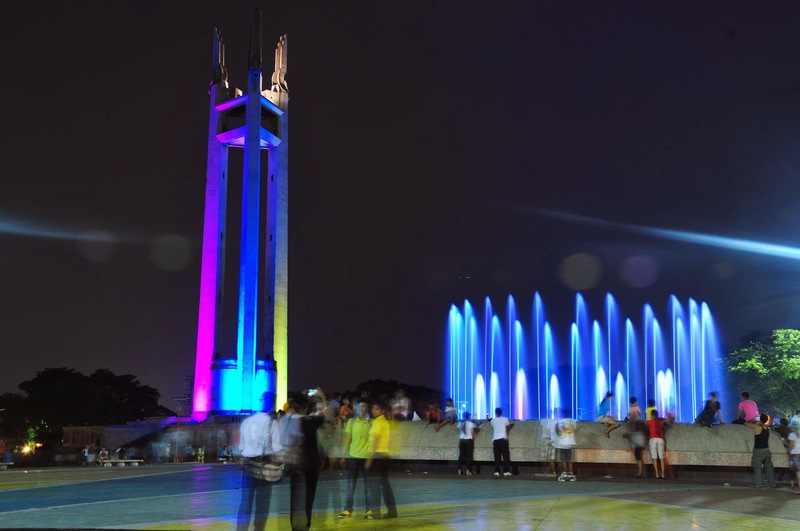 The Quezon City Memorial Circle (along Elliptical Road) is both a national park and shrine dedicated to the memory of Manuel L. Quezon Sr., the president of the Philippine Commonwealth. Religious significance. The Sanctuario de San Pedro Bautista (69 San Pedro Bautista Street, San Francisco del Monte) was founded in 1599 by Fray Pedro Bautista, superior of all Franciscans in the Philippines, as a retreat house and novitiate in what was then a secluded part of town. While the original structure itself has undergone many renovations, the church became a sanctuary for Katipuneros and American military forces in the 19th century. There is a cave—still open to the public—which was used by the Franciscans so they could pray in silence. Constructed only in 1954, the Santo Domingo Church (537 Quezon Avenue) and its liturgical objects have been declared National Cultural Treasures by the National Museum. Although its centuries-old religious artifacts, like ivory statues of saints and gold crucifixes, are hidden in the church’s vaults, on permanent display is the oldest Marian image in the country—the Our Lady of the Rosary of La Naval. 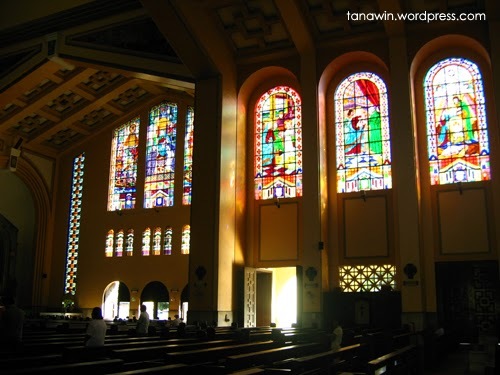 Other interesting features of the church are the magnificent stained glass windows created by Filipino artist Galo Ocampo, and eight murals by National Artist Carlos “Botong” Francisco, depicting the life of Saint Dominic de Guzman. Artistic endeavors. 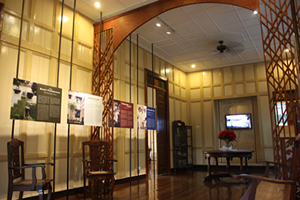 The Ateneo Art Gallery (Rizal Library Special Collections Building, Ateneo de Manila University, Katipunan Avenue, Loyola Heights) is home to Philippine modern artwork, including a collection donated by the late artist Fernando Zobel de Ayala, now part of the permanent exhibition. The Vargas Museum (Roxas Avenue, University of the Philippines Campus, Diliman) has a permanent exhibit of artwork from the 19th century (Juan Luna and Felix Resurreccion Hidalgo) to post-war modernists (Vicente Manansala), as well as works of invited guest artists. Current exhibits are Curiosities by Geraldine Javier (until April 20) and Walang Sinasanto by Emmanuel Garibay (until March 15). Shop. Other than its myriad of malls, there are other places in Quezon City that will attract offbeat buyers and bargain hunters. 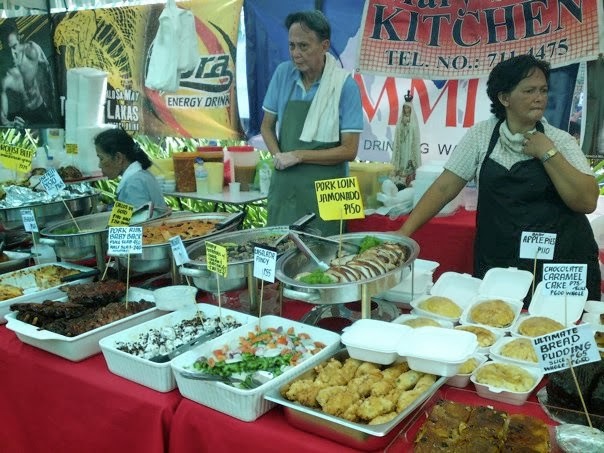 The Sidcor Sunday Market at Eton Centris Mall (Edsa and Quezon Avenue) is a haven for cheap dry goods, fresh seafood, fruits and vegetables, and new foodie finds. 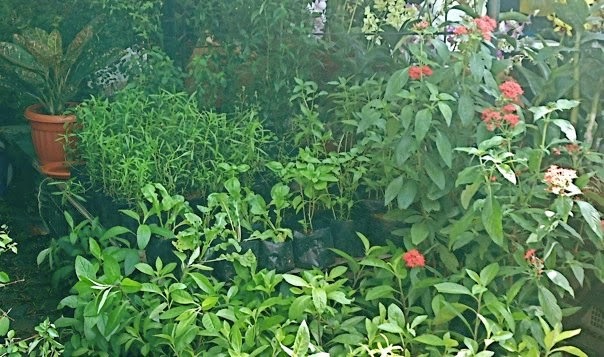 Choice items include reasonably priced tapang usa (deer jerky) and tapang baboy damo (wild boar jerky), live suahe (greasy back shrimps), haricot vert (French beans), organic vegetables and plants. The Dapitan Arcade (Dapitan and Kanlaon streets) is a virtual treasure trove of low-priced export-overrun furniture, shoe accessories, ceramic items and Christmas gee-gaws. It’s a great place to spend one’s afternoon and buy up stuff that can enliven any part of one’s home. There are wrought-iron chairs in antique finish for less than P1,500; assorted white ceramic dinnerware starting from P35; Moroccan hurricane lamps cost about P150, to name a few. Kamuning Road (from Edsa to Tomas Morato Avenue) is also an area where stores selling antiques, secondhand hardwood furniture and vintage lamps are located. Haggling is the order of the day. Wine and dine. Maginhawa Street in Teacher’s Village and Katipunan Avenue are new magnets for food enthusiasts. Along Maginhawa Street, notables are The Burger Project (12 Maginhawa) for customized burgers, Crazy Katsu (81 Maginhawa) for chicken katsu, and The IScreamist (46-D Magiting Street) for the Dragon’s Breath S’mores. Getting there: Quezon City is accessible via private vehicle, bus and FX shuttles (mega taxis), which normally pass through Edsa, the main artery in Metro Manila that connects most major cities. You can also reach Quezon City via mass transportation using the LRT 1 and 2, and MRT 3. If you will travel to Quezon City, I know a luxurious hotel, Summit Hotel Magnolia.